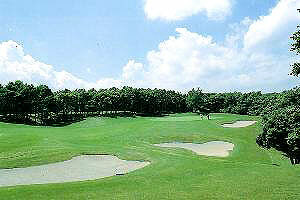 Course Information This golf club is composed of three 9-holes courses each has own characteristics. A course is a long course on gentle hill. B course is flat and laid in a deep woods with many dog-leg holes. C course is flat with wide fairways and big greens. A regular site for Tokyu Open, which is one of the most popular proffesional tournaments in Japan. This was ranked No.76 in Japan's top 100 golf courses in 2006 by E-Golf. *Some electric carts are available for aged and handicapped players.